To become the world's leading provider of Aircraft Repair, Modification and Support Services through consistent excellence in product quality, turn time, safety, customer service, and value. We have become synonymous with excellence in the aircraft industry. As one of the largest representative in the Middle East to provide maintenance, repair and overhaul through good reputable and high quality controlled facilities in Europe and USA. We also provide cabin interior materials such as Aircraft Carpet, Seat Fabric, Curtains and Seat Covers made out of wool or Synthetic matrials. We also provide high quality seat leather. 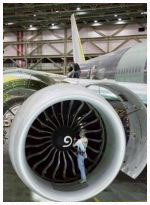 We specialized in MRO of Aircraft, Engines, APU, Components and accessories. It is our highest priority to provide top quality products and customer service to all of our customer worldwide. ANS Aviation is a satisfaction quaranteed company with a focus on our customer satisfaction and excellent prices. ANS provide MRO of Aircraft, Aircraft Powerplant, Aircraft APU, Accessories; Hydraulics, Hydro Mechanical, Hydro Electrical, Fuel, Pneamatics and Compsite Components through qualified and good reputable company in Europe and United States of America. ANS Aviation was extablished on February 1982 known as Yellow Sea establishment as an international general supplier in the Kingdon of Saudi Arabia. It was up graded to a Yellow Sea Commercial Company Ltd on July 1987 specializing in the supplies of industrial equipment, laundery and shelving equipment in Saudi Arabia; and a companie's representative in the Aviation field in the Middle East. Our strength is an excellent team work which is committed to provide 24/7 communication to cover all time zone to ensure a quick response and action to satisfy our customers and prinsiples, our team has an accumulated over 80 years of experience in the field of Aviation which is an added value to each part we serve. We do our atmost effort to provide most reliable & competetive Priced SlotMachineSchweiz Services with fast turn around time. The quality of work and the satisfaction of our customers remain our number one priority. 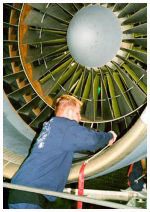 We are large enough to support your MRO needs, yet small enough to attend to the smallest detail. Through our many contacts in the aircraft industry, whatever your aircraft need, if we cannot provide the service we probably know someone who can. Contact Us. ANS Aviation is among the largest providers of fully integrated aviation maintenance, repair and overhaul (MR&O) services for major commercial airlines, fixed based operators & private aircraft owners.